At 2002 I have predicted that my software projects should have Web versions. Recently (October 2012) I have begun implement this idea. However during ten years I developed software such that it can be easily adopted for Web. So I once again reinvented The time machine. My idea of engineering web applications rapid development is similar to LabVIEW idea. 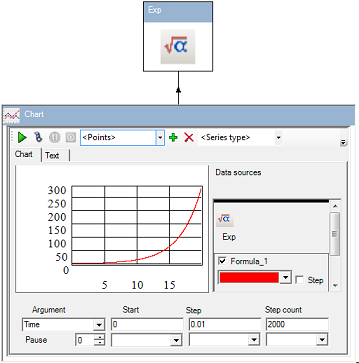 LabVIEW supports graphical programming for both business logics and user interface. My approach is the same. Following picture shows this fact. 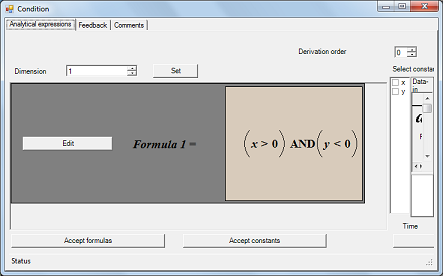 Desktop windows application enables us develop business logic. 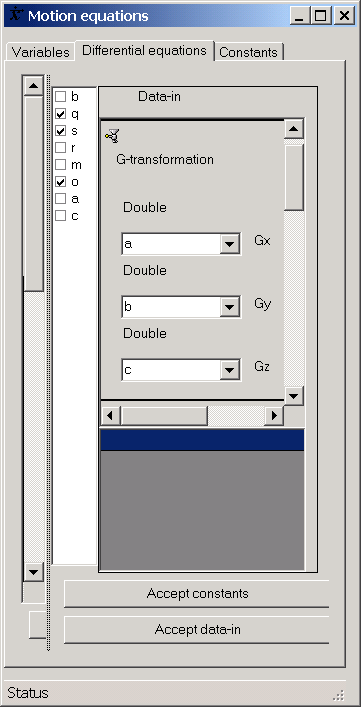 Then XAML designer yields interoperability of business logic with Silverlight user interface. So this soft contains desktop windows application and Web one. Both of them are developed for evaluation purposes only. Therefore Visual Studio Express 2012 for Windows Desktop and Visual Studio Express 2012 for Web are used for development of these applications. Above code is not flexible and could not be easy used for Web applications. So I prefer construction which has a pure abstract exception handling and extension method. This error handling has server and client tiers. Following code is implenentation of server tier. 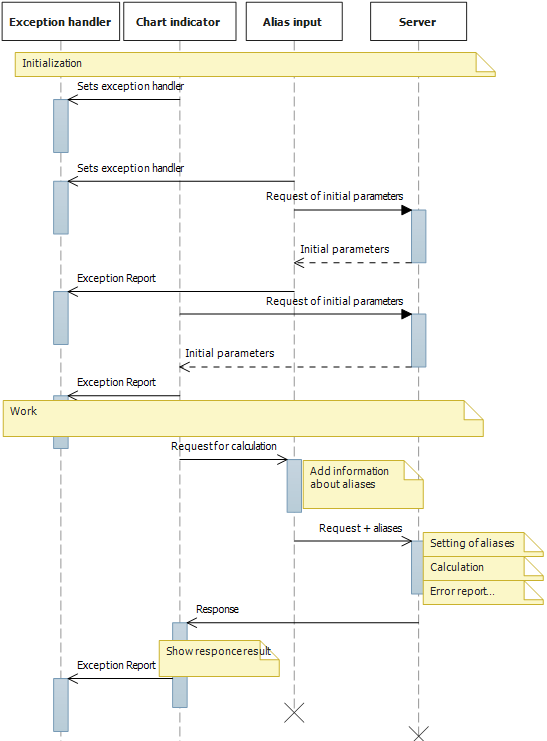 Serer side collects exceptions on list, then information about exceptions is appended to XML document. Then document is sent to client. Client side also contains own error handling interface. 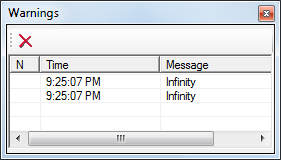 Every client object which implements this interface shows report about errors. 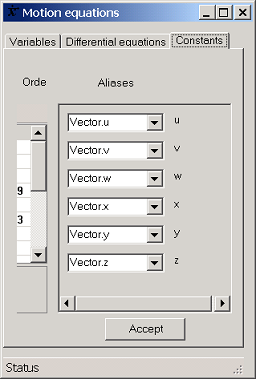 Following code contains an implementation of this interface. 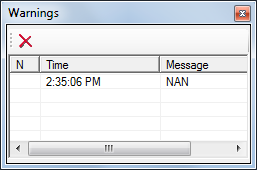 This component shows exception report as inner HTML or calls script function. Following snippet contains example of error handler function. Some Web client elements should be associated with error handlers. These elements implement following interface. contains one IErrorHandler (it is SilverlightControlHtmlErrorHandler) and two IErrorHandlerConsumer objects (SilverlightControlAlias and SilverlightControlHtmlOutput. Both consumers automatically associated with error handler because all three elements have common root. Following picture represents interoperability between IErrorHandler and IErrorHandlerConsumer. 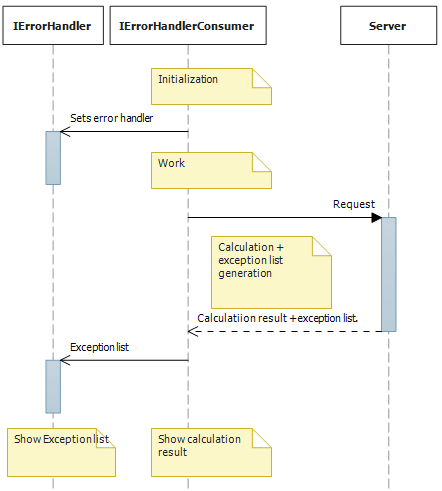 Following sequence diagram explains usage of exception handler. 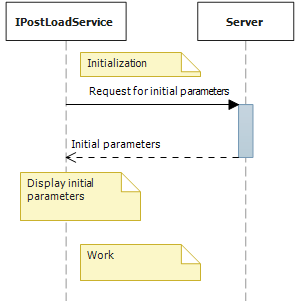 All objects which require such initialization implement IPostLoadService interface. 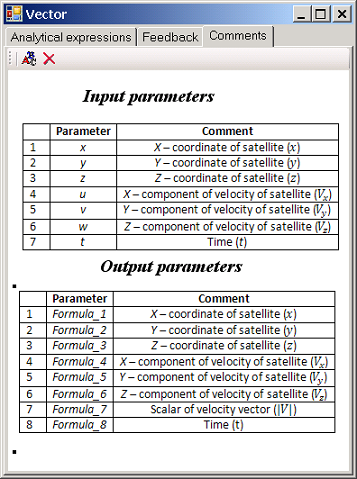 As rule every engineering task have input constants. 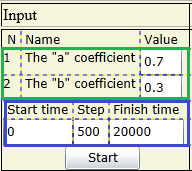 For example calculation of f(t)=aebt function has two parameters a and b which can be regarded as constants. Software should support constant input. Following picture represents business logic of above task. 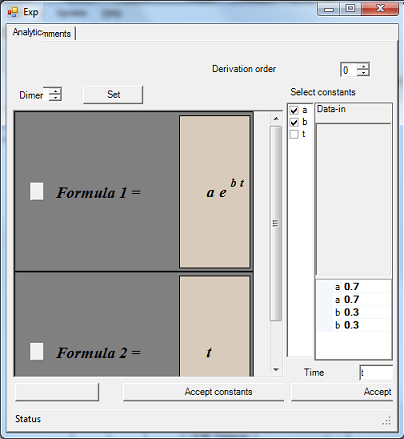 Where Exp component calculates f(t)=aebt. Whole above picture is named Desktop. 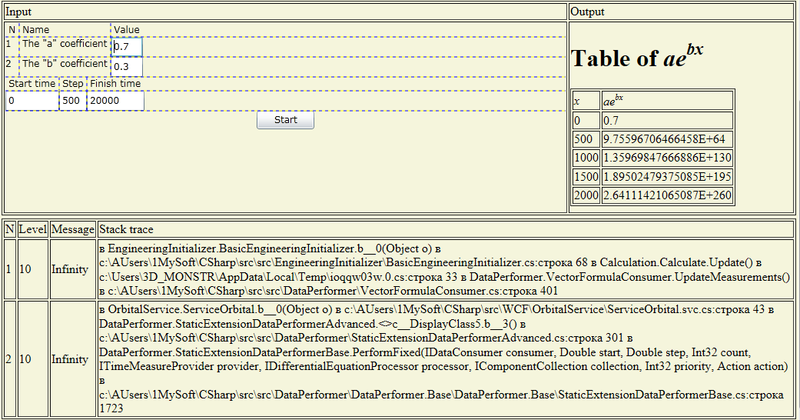 Any desktop correspond to object which implemens IDesktop interface. Properties of Exp are presented below. Following code explains usage of this interface. Aliases can be accessed from desktop by following way. 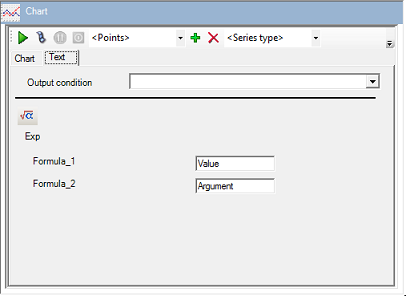 Business of constant input is call of SetAliases function with proper arguments. Following user control implicitly performs remote call SetAliases. The term "implicitly" means that this task is not independent. Setting of aliases every time is subtask of major task. 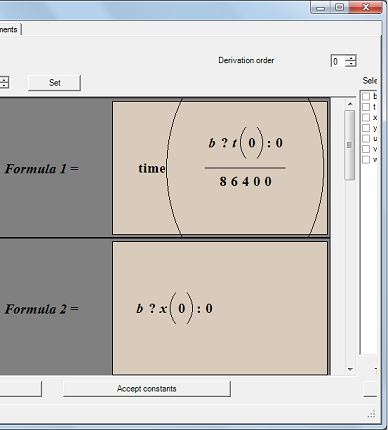 Where Desktop="Exponent.cfa" (resp. Aliases="ExponentAliases.xml") is file name of desktop (resp. aliases). As IPostLoadService it sends following initialization request. This component implements IAddRequest interface. So it provides information about values of aliases for major task. 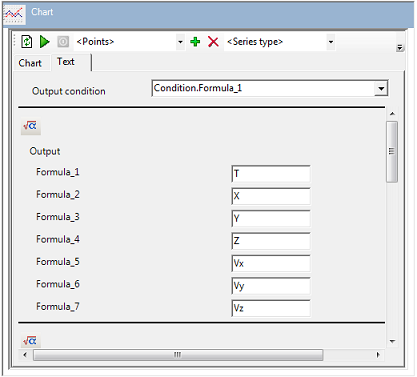 Additional information is considered in 2.2.2.
contains Chart component. Besides graphical mode it has text one. where input is represented by following text. The Request sends to server following request. Server also generates error report. 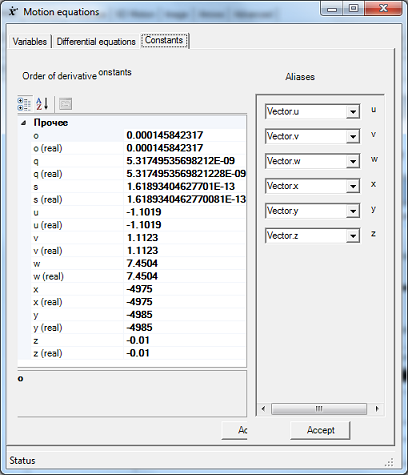 Result response contains calculation result and exception report. 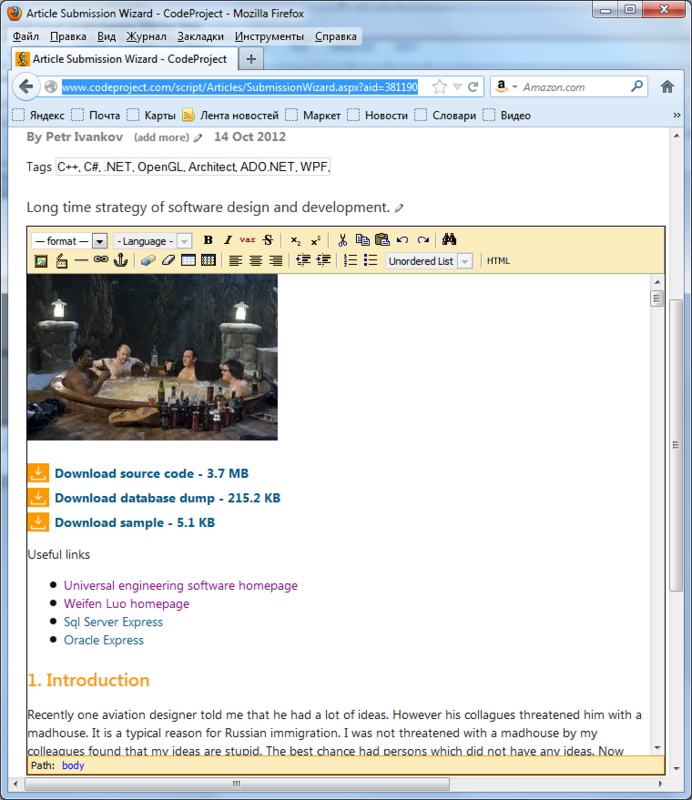 Content of Text tag contains output HTML. Property ScriptFunction = "showOutput" means that showOutput script is called. It is clear that any of above component is useless as itself. For example exception handler never handles exceptions without substantial task. 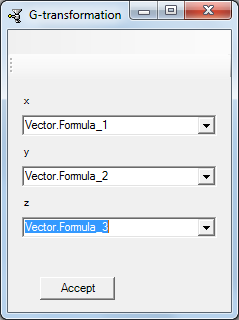 Following XAML code contains useful combination of user contrlos. 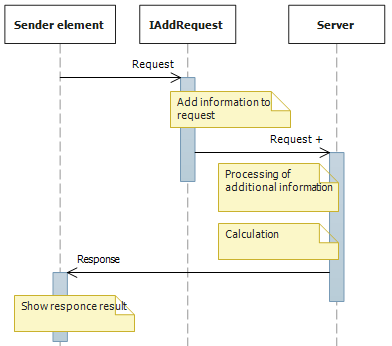 Following sequence diagram explains logic of this user control. This component appends aliases to chart request.st. 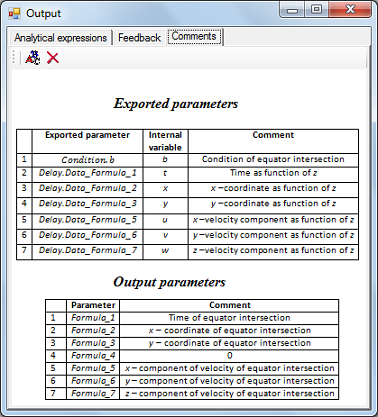 It contains aliases, parameters of interval, output html, error report. Business Logic of the this sample is already described hereere. But I have copied text for easy reading. 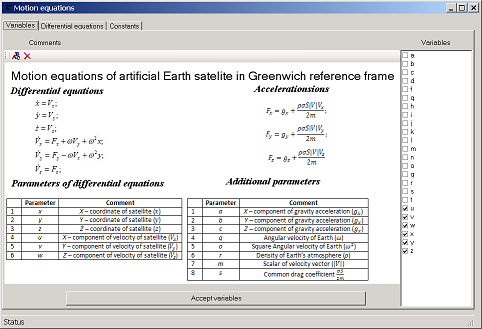 Exported parameters concern with gravity and atmosphere models. These models are contained in external libraries. 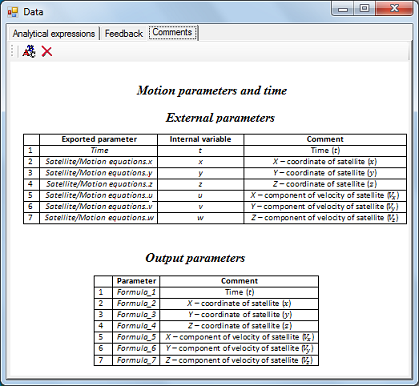 The following picture contains components of motion model. 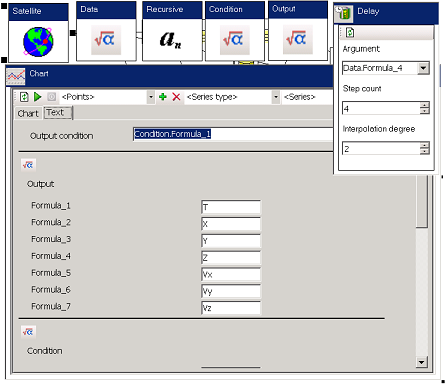 The Motion equations component is considered above component of ordinary differential equations. 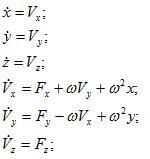 These equations have feedback. Right parts of equations depend on gravitational forces. 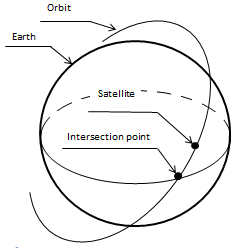 Otherwise gravitational forces depend on coordinates of the satellite. 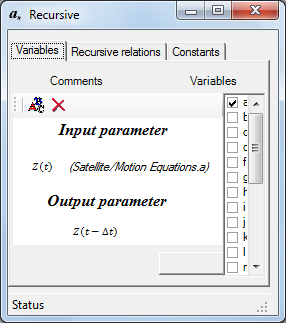 The Vector component is used as feedback of Motion equations. 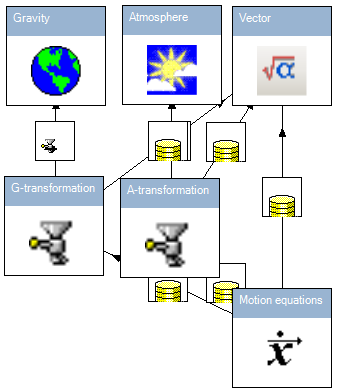 This picture means that parameters a, b, c of a, of Motion equations are assigned to parameters Gx, Gy, Gz of G-transformation. So of Earth's Gravity function is exported to G-transformation. The Earth's atmosphere is exported in a similar way. In this sample actual function f is used. However this function has another argument. This argument is Z- coordinate of the satellite. Satellite moves along its orbit. Parameters of motion correspond to the time when it moves from South to North and intersects equator. 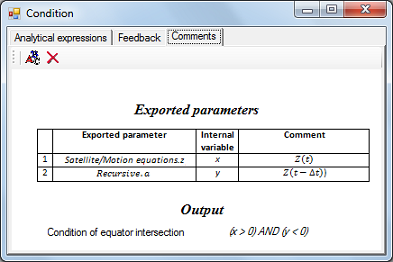 Satellite intersects equator when its Z - coordinate is equal to 0. If we have coordinates and time as function of Z, then we can see necessary parameters are values of these functions where Z = 0. The following picture represents a solution of this task. 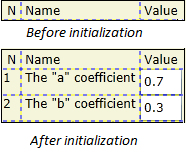 The first parameter has DateTime type and the other ones have double type. The following code contains XSLT file. This XSLT code provides the following HTML document. As Web application this project is not principallly differerent from elementary project described in section 1. 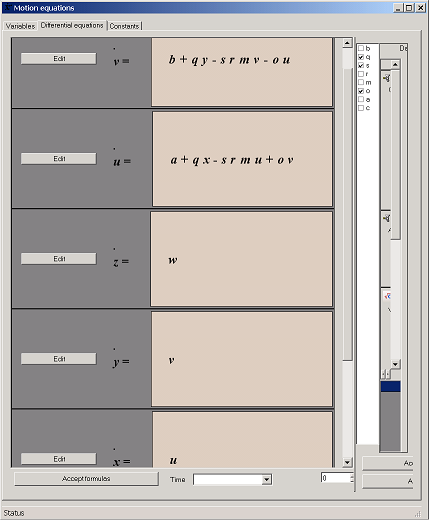 This project has output condition and this fact is reflected in following XML. 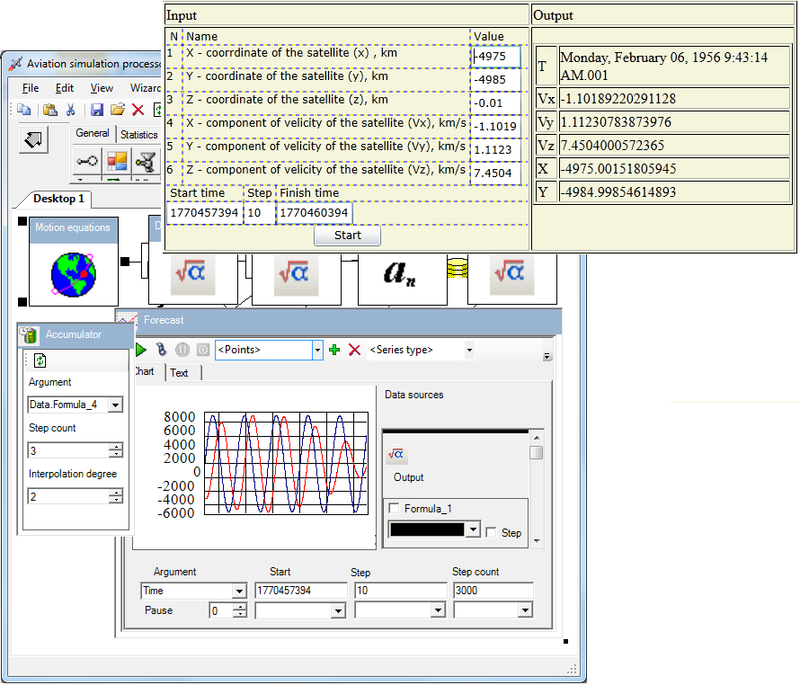 These alises are initial conditions of differetial equation system. Acting web client is placed at begin of this article. My very blue dream is invention of new time machine. I would like to develop online designer which is similar to Code Project one. However my designer shall be a toolkit for developers of science and engineering portals.